Primary coloured filing boxes designed with the curriculum in mind. These boxes are ideal for creating your own colour coded filing system. The boxes are designed to hold A4 or Foolscap documents, they also fit the Lever Arch Filing Module (module-1). 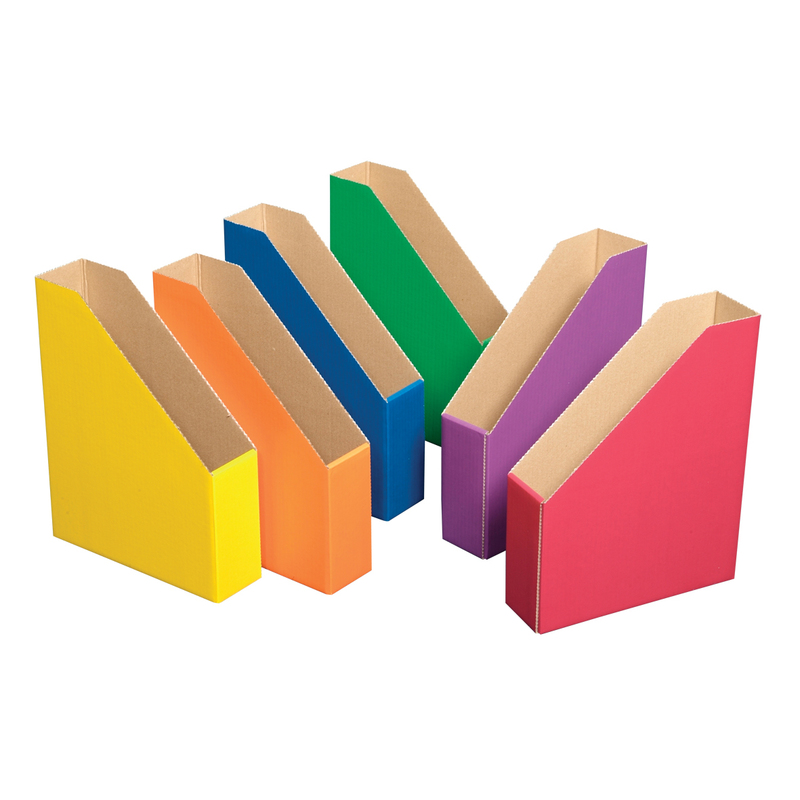 The colour filing boxes are made from tough corrugated fibreboard and are available in a pack of 6. H355 x W85 x D280mm.